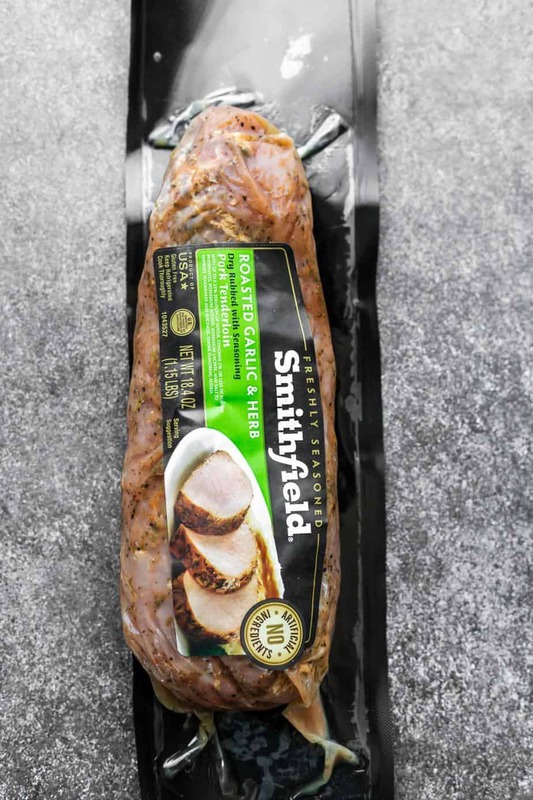 Sponsored post written by me on behalf of Smithfield® Marinated Fresh Pork. The opinions and text are all mine. Quick lunch recipes are a must, especially with back-to-school season. 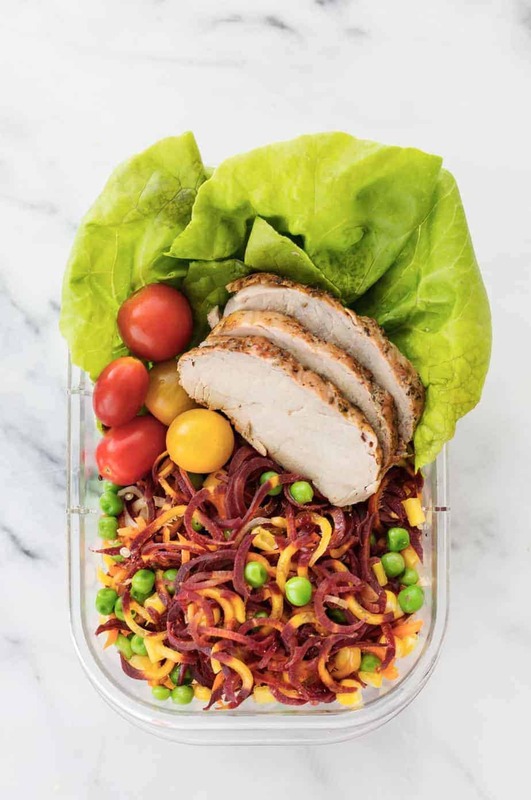 This back to school meal, Pork Tenderloin Sandwich with Carrot Slaw is an easy lunch recipe that the whole family could also enjoy for dinner. I then used the same ingredients in a power bowl the next day, by simply adding it to a bowl of quinoa. I’m a huge fan of spiralized veggies and the carrot paired perfectly with the pork. My time is stretched thin with hauling the kids around and doing work, and my growing, hungry kids need well rounded meals that don’t take long to prep. 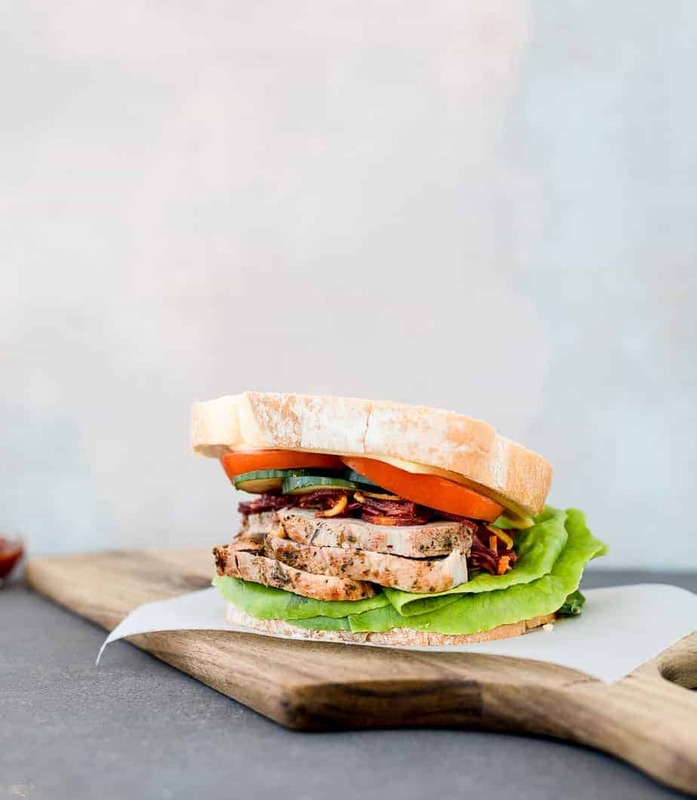 Smithfield Marinated Fresh Pork can be a massive help, by easily adding it to a salad or sandwich, or making it the centerpiece of a dish on its own to be enjoyed by the entire family. You can get real flavor, real fast for an easy to prepare, delicious meal in less than 30 minutes. Ever since I was a kid I longed for summertime, with longer days of sunlight, a more flexible schedule, and hopefully some downtime or a vacation with the family. In retrospect, summer can actually be almost as stressful as the school year, with each week having different activities and a routine that only lasts for a week or two. The school year takes a little while to get used to, and it too is a whirlwind (especially when the kids are in the first year at a new school). Grabbing fast options for the kids for some food groups is easier than others. 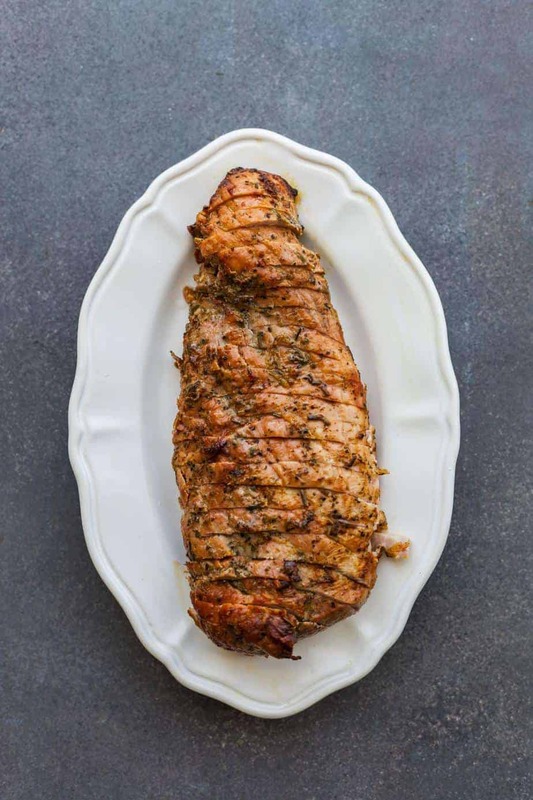 Protein can be the hardest, another reason I’m especially happy to have found Smithfield Marinated Fresh Pork. You can tell that they use premium cuts of pork just by looking at it, and they’re seasoned perfectly for a taste that both my kids and I savor, and they’re also slow-marinated, something that is tough to do on your own in a pinch. I hope you enjoy my recipe(!! ), you can find more ideas at Smithfield.com. Don’t forget to also go for the “Save $1 on one Smithfield product” coupon to use at your local Kroger location: Kroger, Dillons, Food4Less, Fred Meyer, Frys, King Soopers, QFC. One thing that I’d like to mention is that meals are great, but I also like to introduce my kids to the breakfasts, lunches and dinners that adults eat, too. Sometimes meals, whether at a restaurant or at home, can be quite unbalanced. They are often just carbs and a sauce, and many times fried. My kids do like that stuff, but they get equally excited about meals like the one I prepared today and take in a lot more quality food. They form better eating habits at a young age, which I hope will carry on for many years. Mix all the ingredients in a bowl, easy as that! Store the carrot slaw in an airtight container and put in a fridge. 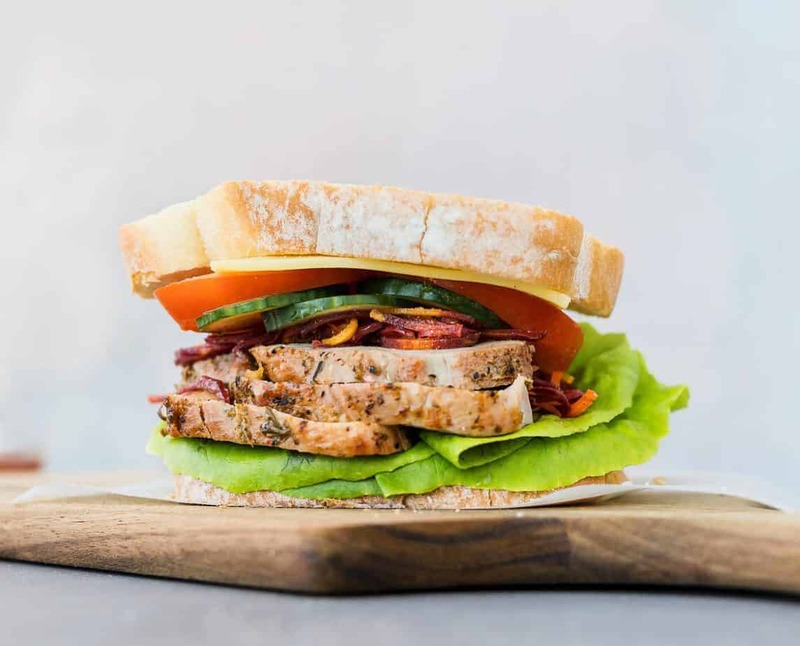 Top each slice of bread with 2 pieces of lettuce leaves, 3-4 slices of pork tenderloin , 2 tablespoons of carrot slaw, 2-3 slices of cucumber, 2 slices of tomatoes, cheese and a slice of bread on top. Well you really know how to get back to school!! This is a drool worthy sandwich!! This looks like a dream back to school sandwich! I could eat a sandwich for lunch everyday. That slaw is perfect! Mmmmmm back to school? Heck how about eating it just because! What a great sandwich! !